New Show Announced: Beauties, Beats & Eats! There is always amazing fun and food to be had at 120 Diner and August 22, 2017 from 8:30-11:00 will be a spectacle of friends in harmony! Get it? Join us if you can! Check us and follow if you wanna, yo! Happy happy summer, everybuddy! Let’s celebrate together! Because everything comes to an end and everything is accepted! Let’s give a beautiful thankful send-off to The Central for hosting the arts and for helping to build an engaging loving inspiring community all these years! Come out to perform! Come out to hang! Join cozy friends! Meet new friends! Everything Goes! Bring what you will! Music, comedy, stories, dance, poetry, jam! Let’s raise our voices in thanks! Spreading Empowerment Through You and To You! Yahoo! We here at Let’s Make Good Productions are so pleased and proud to announce the world premiere of WonderFest TV September 1st 2015 on Rogers TV Peel! WonderFest TV is an extension of Let’s Make Good Productions’ live events that encourage participants and audience alike to nurture creativity and confidence in art and everyday life. WonderFest TV showcases and celebrates various Wonder Women and Super Men who are in pursuit of a positive lifestyle as we explore topics of music, visual art, literature, spoken word, healthy self-esteem, fitness, nutrition, mental health, goal setting, business planning, finance and more. WonderFest TV is an entertaining launching pad to discuss ideas and illuminate resources that may inspire and enable viewers to educate themselves and take action toward their dreams and living their best life. 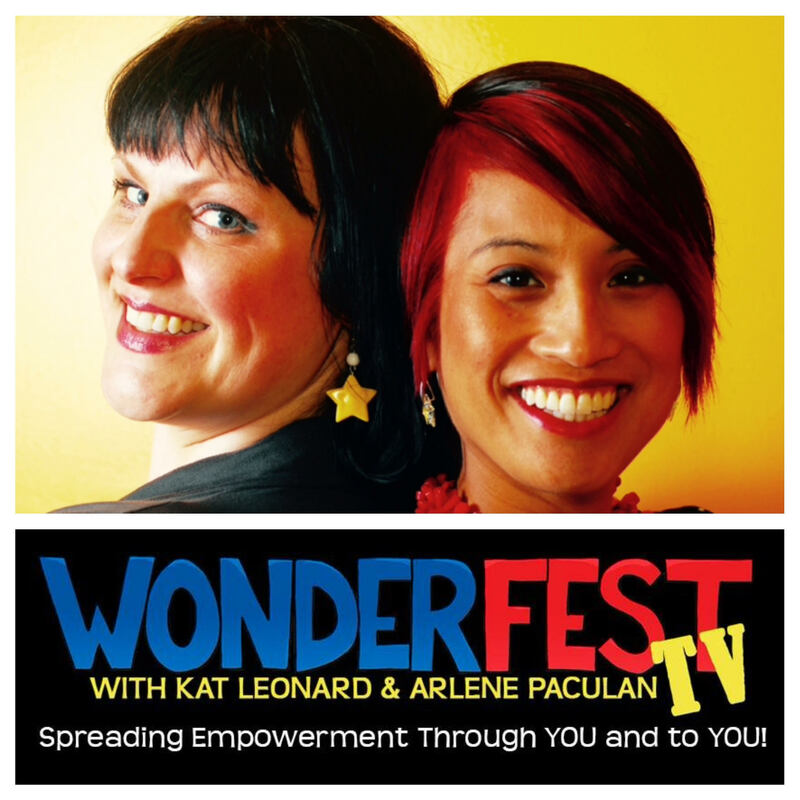 WonderFest TV with hosts, Kat Leonard Music & Arlene Paculan airs on Rogers TV Peel! Tuesdays starting Sept 1 @ 11:30pm! If you are in the Mississauga Peel area you can watch us on Rogers TV! If not, we should have an online link for you soon!